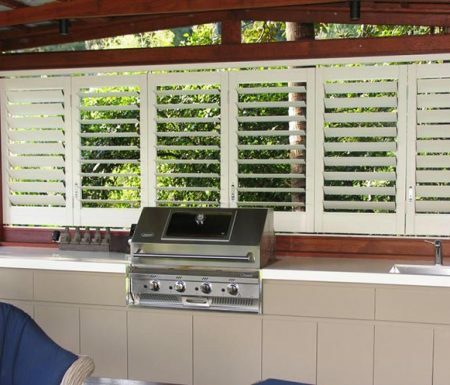 Dramatically enhance your home’s look and feel with our sleek and stylish plantation shutter range. Plantation shutters are a practical, durable, and permanent fixture for outside your home – adding value to your home at an affordable price. Plantation shutters are the ultimate window dressing, providing full light and privacy control when you need. They’re solid and secure, and can come hinged, sliding, fixed, or bifolding. Our external shutters can be completely customisable, designed to fit just about any window or door frame in your home, in the colour of your choosing. 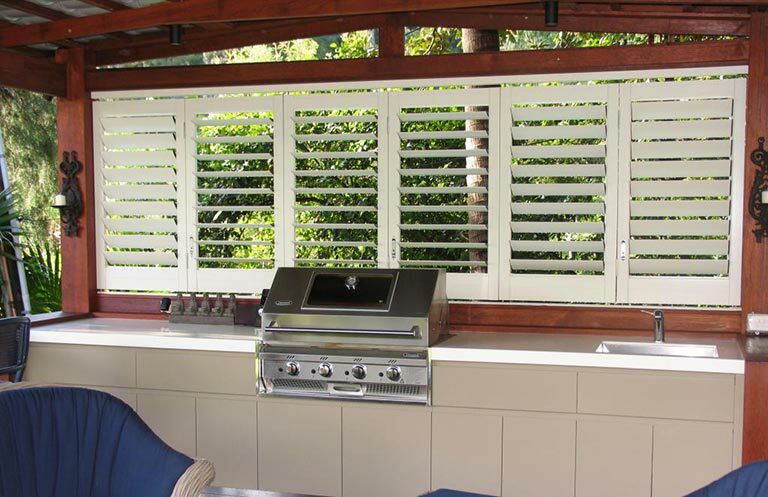 Plantation shutters are a beautiful window dressing that suit both interior and exterior design. 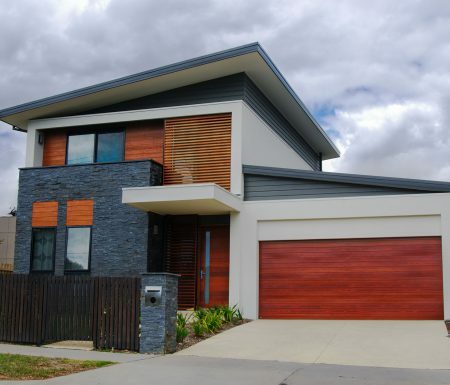 External shutters can be made in either aluminium or PVC – although we recommend aluminium as it’s extra hardy and better able to withstand the natural elements (wind, water, and sun). They’re a higher-quality, durable window furnishing that won’t warp, crack, or fade over time. We let you choose your colour and style. 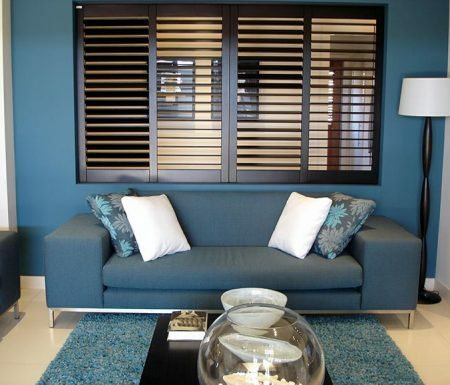 Our plantation shutters can be manufactured from the full ColorbondÒ range – You can check out their range of colours when you visit our showroom. However, if you can’t find the colour or design you like and you can provide a picture or example of your heart’s desire, we can arrange a custom order. Please note that custom colour orders will cost more and have an extra wait time. 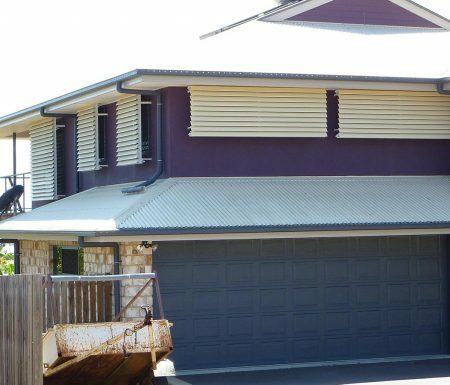 Decomagic Blinds have been sourcing and installing plantation shutters for Grafton residents for the over 10 years. We’re known for our high-quality products and expertise, and we’re always on hand to guide you through your purchasing process, choice of design, style, and materials. We’ll let you know if your shutters are better installed inside or outside your window, and the best panel style to suit your décor and functional needs. Plantation shutters should enhance the existing aesthetic of your home – which is why we’ll always install them to match up with the bars, lines, and contours of your home. All our external shutters are made with high-quality stainless-steel fittings to resist the wear and tear of sun, wind, and rain exposure – and come with full manufacture warranties. You’ll have peace of mind knowing you’re getting a quality and durable product that will outlast your time in the home. If you’re looking for a window dressing that provides effective sunlight and privacy control, extra security, weather protection, and stylish appeal – plantation shutters are the perfect window or door dressing for your home. Get in touch today to book your free consultation, measure, and quote and we’ll arrange a suitable time to come and visit your home. Once you’ve approved our quote, we can send your specs to our trusted supplier to manufacture your made-to-order shutters. Most standard orders take around 4-6 weeks on average to complete. Once we receive your new shutters, we’ll be in touch with you to arrange a suitable time to come back to your house and install them! 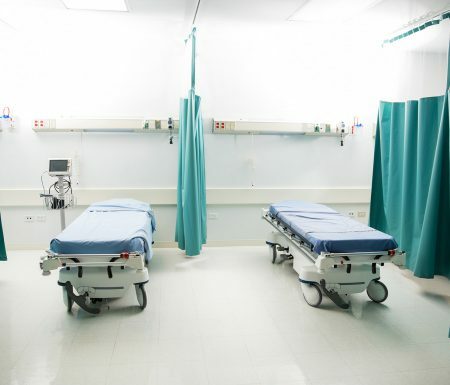 We’ll work with you to meet your needs. If you’d like to install your shutters yourself – we’re also happy to help you out with measure and supply only. 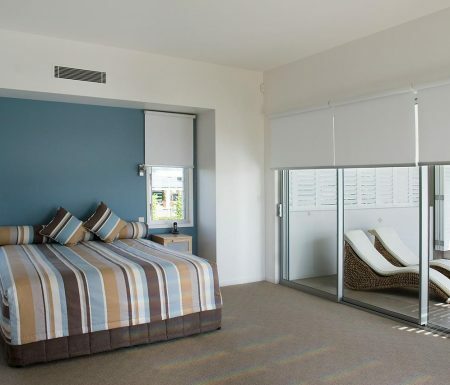 Book your free consultation today by calling Decomagic Blinds on (02) 6643-1766.